I don’t know about you, but I’m not much of one for sweet cocktails. Well sweet anything other than dispositions, really. Having said that, I do believe that the most perfect sweet concoction in the cocktail world is the Margarita. Especially, perversely perhaps, during the cold months. During my first trip to Vail, CO. many moons ago, I was astounded by the skiing, naturally. Stopping where you want to stop without sliding 25 or 30 feet on a sheet of ice? Turning on a dime? Floating on powder in a back bowl? Sign me up. But the thing that really made an impression was at the foot of the mountain. After a blissfully long, easy run down, I was able to ski right up to a Mexican restaurant, pop my bindings and step onto a sun deck with a table waiting. Nachos and a Margarita seconds off the slope. That was living. It took me a while to perfect my Maragrita. Nothing was going to match the one of memory after four hours of skiing in the perfect Colorado sunshine. But years later, I’ve come up with a reliable substitute. And here’s the best part… it makes a wonderful marinade for grilled fish or chicken. 1/2 shot of orange juice. Salted rim of the glass is optional. Combine all ingredients over ice and shake like a maraca for 30 seconds. To make the drink into the marinade you may add a splash of olive oil, a few dashes of cumin and salt, and some chopped fresh cilantro. Let it work on the main course for about 30 minutes before grilling. Serve with rice and beans and a Caesar salad. 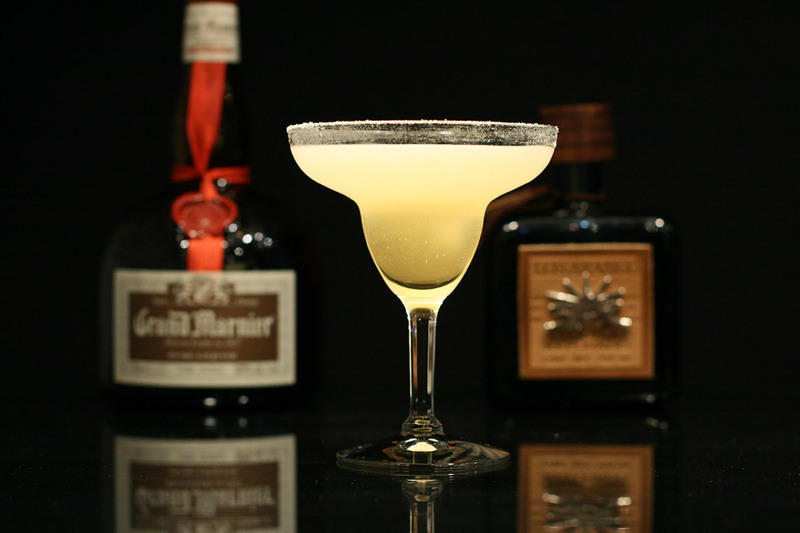 This entry was posted in Uncategorized and tagged cocktails, Margarita, recipes, Vail. Bookmark the permalink. I enjoy a good margarita marinade, though I’ve never added cumin, something that sounds delicious. One word of warning for anyone considering the use of a grillpan, the marinade’s sugar content will result in the creation of burnt caramel in all those little grooves that’s not only smokey when cooking but particularly unpleasant to try and clean after dinner. I learned this the hard way many years ago. THAT’s what orange juice is for. I’ll make a point of trying this soon – I’ve been in the market for a recipe that didn’t involve exotic ingredients. Anthenaeus, soaking in salt water helps that somewhat. You can do this under a broiler, too. Cut three slits in the skin side of the fish and broil skin side up. Don’t forget to spray the rack, though. Chicken is less trouble. DCL, that’s the easy part in Easy and Elegant. At least that’s what I’m aiming for. It does make a nice presentation, too. When I lived in the middle west I didn’t have the culinary resources that I do here. I tried out all kinds of shortcuts. And cooking over the stove took my mind off indoor temperatures that were cold enough to freeze my toothbrush. The “middle west,” as you properly call it, is cold as heck right now–we are off to a great start for a miserable winter. Margaritas could help. The marinaded chicken & caesar salad sounds like just the thing for a Friday night dinner–my husband and son make the best guacamole and salsa. We like the Whole Foods brand tortilla chips, definitely WITH salt. I intend to include really rich chocolate brownies for dessert. I think we have a dinner plan! Thanks! D’you know what i like best after a nice day of skiing in the French Alps? Fotgot to say: brilliant photo !!!!! Paula, I so remember those days. Only I had no access to a Whole Foods or anything like it. My then mother-in-law used to send a smoked pheasant for Christmas though! Hope you enjoyed the dinner.